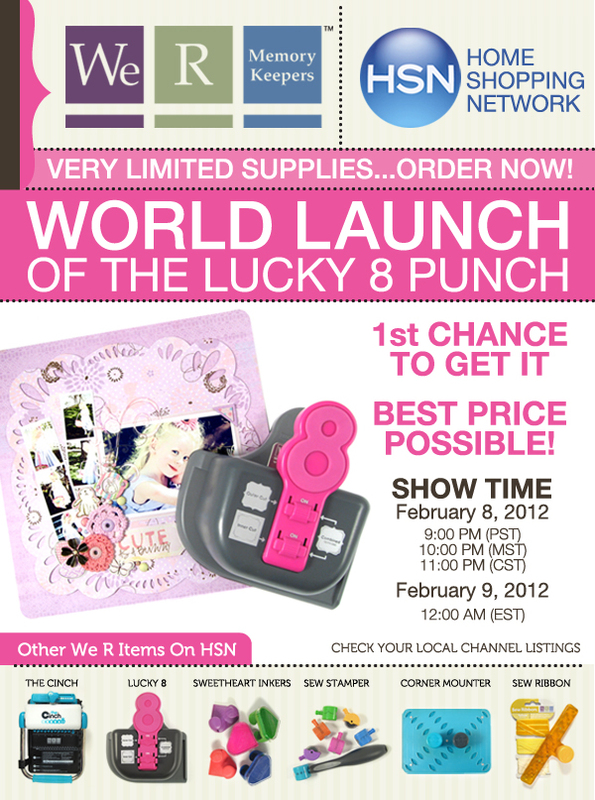 We R Memory Keepers on HSN! Just wanted to let you know in case you are dying to see the new Lucky 8 punch. I tried this tool out at CHA and I must say I...well I will let you know in a future review (wink, wink)! Seriously though, go check it out!